“In the last centuries of the Fifth Cycliad, a great malaise began to descend on the lands of humankind. The great civilisations of Earth, which for aeons had seemed on the verge of slumber, now finally began to rot from within. From the edges of the world the ever-present enemies drew close, their hungry claws poised to tear apart the delicate flesh of a fruit a hundred millennia in the harvesting. And all around, a cry arose for heroes, to stand against the dying of the light and save the world from the sins of its past. 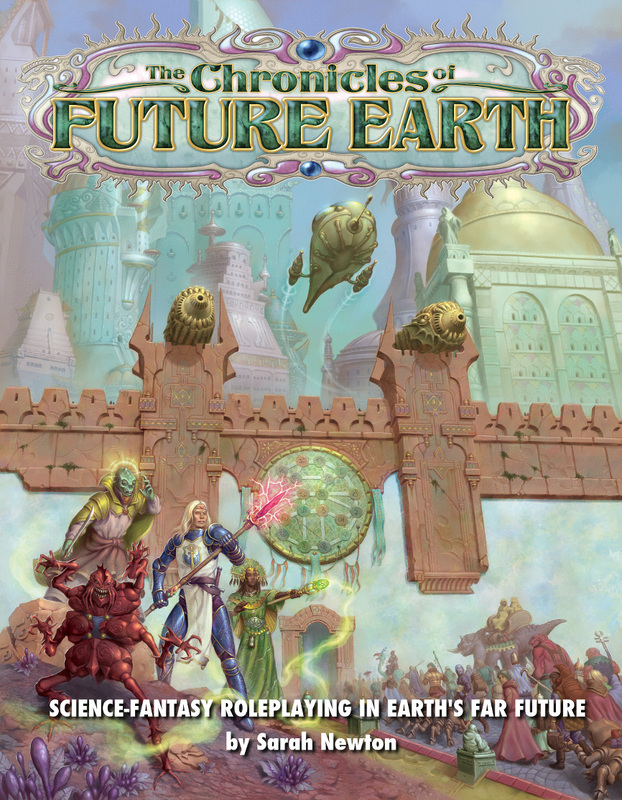 Mindjammer Press and The Design Mechanism are delighted to announce that The Chronicles of Future Earth science-fantasy roleplaying setting is back, in an all-new full-size hardback edition for the 6th edition of the RuneQuest game! The Chronicles of Future Earth will be published by Mindjammer Press and distributed by Modiphius Entertainment Ltd. Scheduled for release Winter 2014/15. For further information on distribution and reviews please contact Modiphius Entertainment. 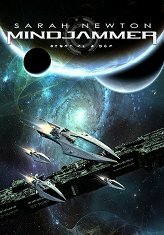 « Mindjammer RPG Preorders: Updated PDF Now Available! The cover makes it seem a bit more hair-metally than the 1st edition? I hope the contents are still grit & rock n’roll? Of course they are. The cover’s very much in the Pennington vein, which I think fits the Chronicles vibe wonderfully. But of course it’s the same setting – just a much more complete and in-depth presentation than 1st edition. Cheers! Absolutely amazing cover, I love “Dying Earth” style fantasy. To the writer of CoFE: I’m sorrry to hassle you, as I’m sure you are hard at work writing CoFE, but do you know what happened the The Worm Within novel? Are Chaosium still going to publish it or will Mindjammer issue it as a PDF? Hi! I looked around for news, but other than “coming soon”, I haven’t heard much about Chronicles since the big Chaosium/Moon Design/Design Mechanism news. Has any of that affected this book? Thanks!